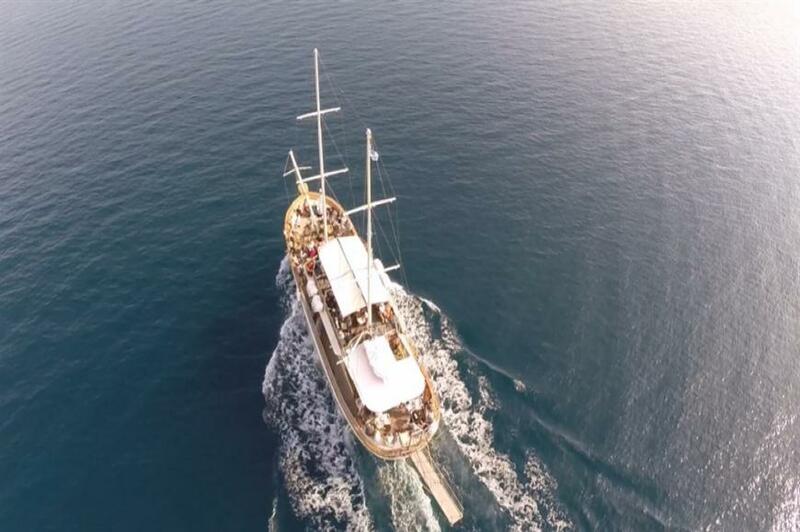 The traditional sailing ship “Saint George” departs every Monday and Thursday from the port of Ormos Panagias at 9.30 in the morning, sailing in the coast of Sithonia and directing to the main port of Mount Athos and the Daphne. 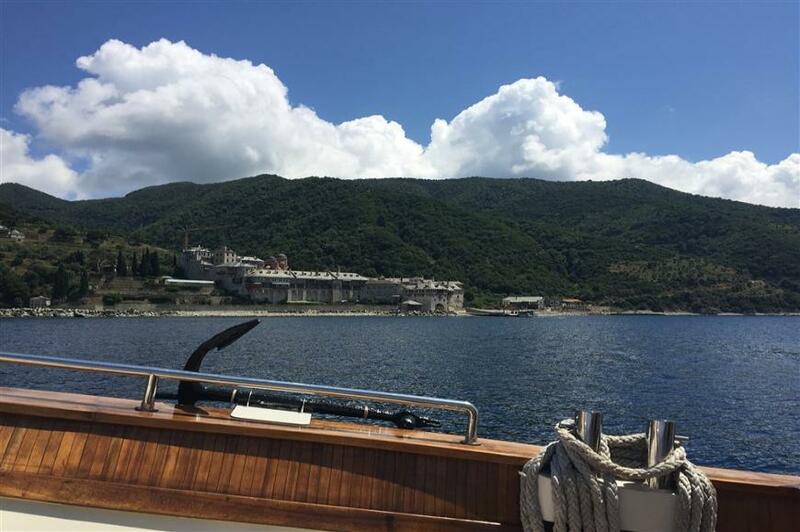 Also, by heading north, we meet four monasteries and the monastic Border which separates the outside world to that of Mount Athos. 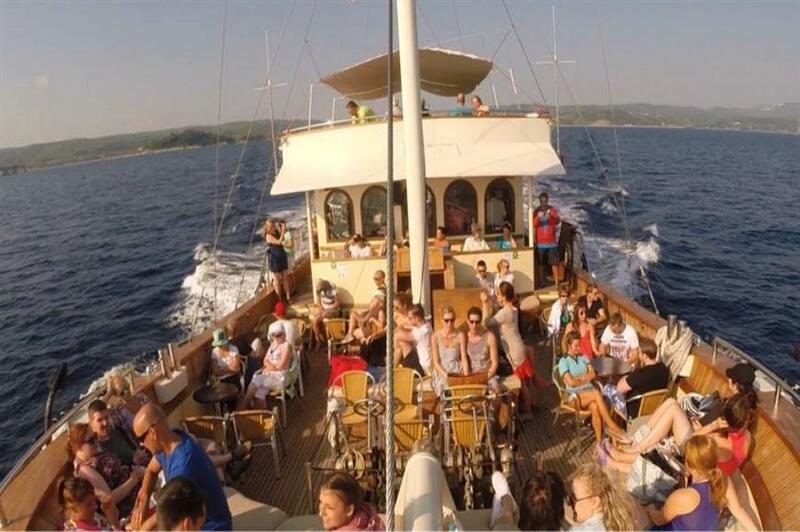 After a two-hour distance, it arrives to Big Sand beach on the island of Ammouliani, for relaxation on Island beach bar. 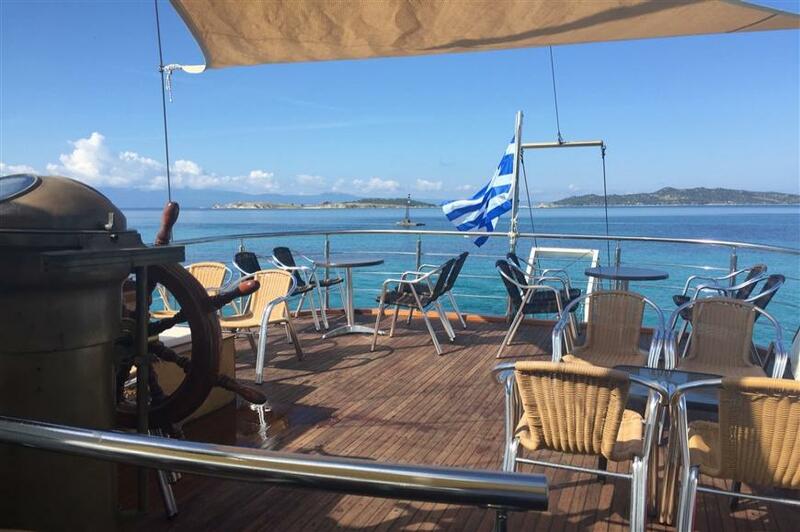 Lastly, we depart for the port of our final destination, Ormos Panagias, to where our journey will be accompanied with live bouzouki dancing. 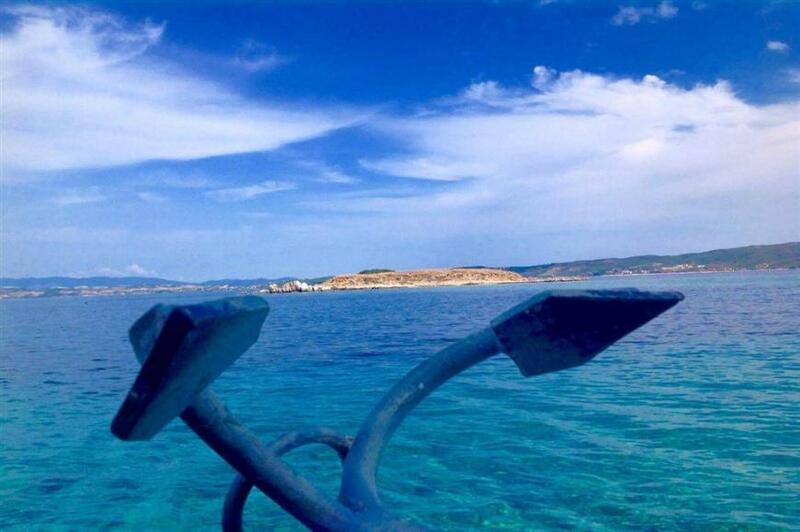 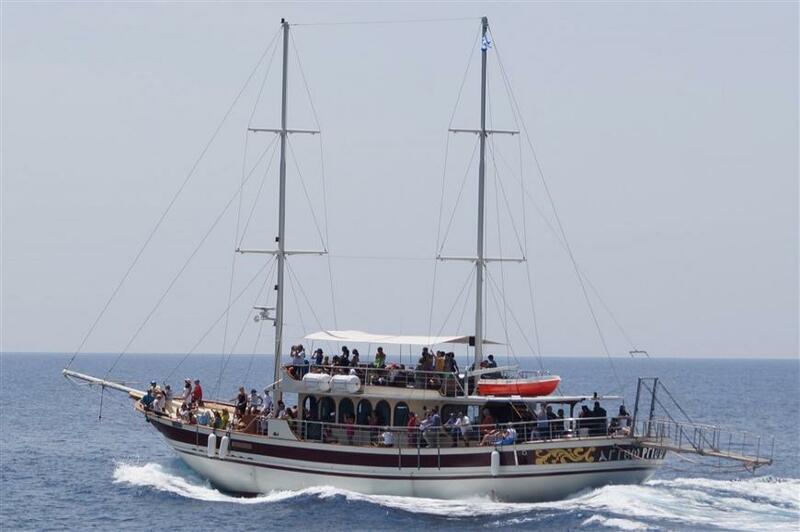 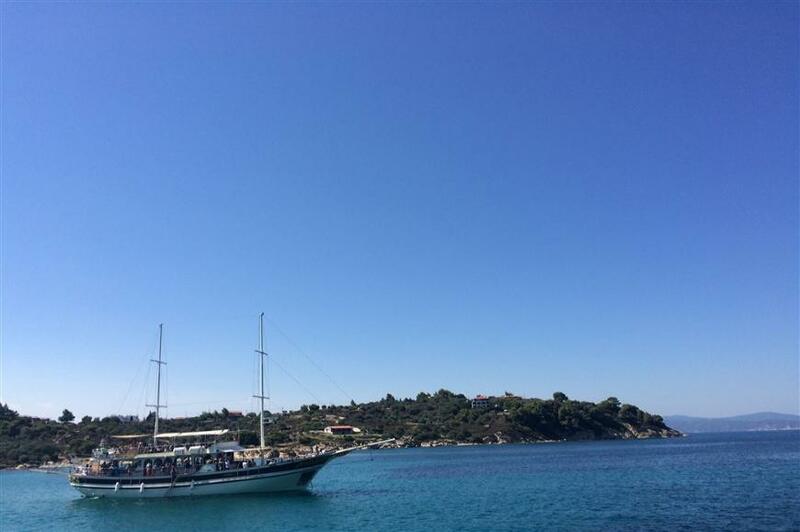 The returning to the port of Ormos Panagias will be at about 17.15.